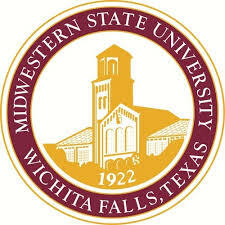 Midwestern State University is a leading public liberal arts university committed to providing students with rigorous undergraduate and graduate education in the liberal arts and the professions. Through an emphasis upon teaching, augmented by the opportunity for students to engage in research and creative activities alongside faculty and to participate in co-curricular and service programs, Midwestern State prepares its graduates to embark upon their careers or pursue advanced study. The university̠s undergraduate education is based upon a comprehensive arts and sciences core curriculum. The understanding that students gain of themselves, others, and the social and natural world prepares them to contribute constructively to society through their work and through their private lives.